Heat beans and water to boiling in 4-quart Dutch oven; reduce heat. Simmer uncovered 10 minutes; remove from heat. Cover and let stand 1 hour. Drain beans. Place beans and remaining ingredients except sour cream and cilantro in 6-quart slow cooker. Serve soup topped with sour cream and cilantro. Pinched for time? Soak the beans in cold water overnight rather than using the quick-soak method in the recipe. 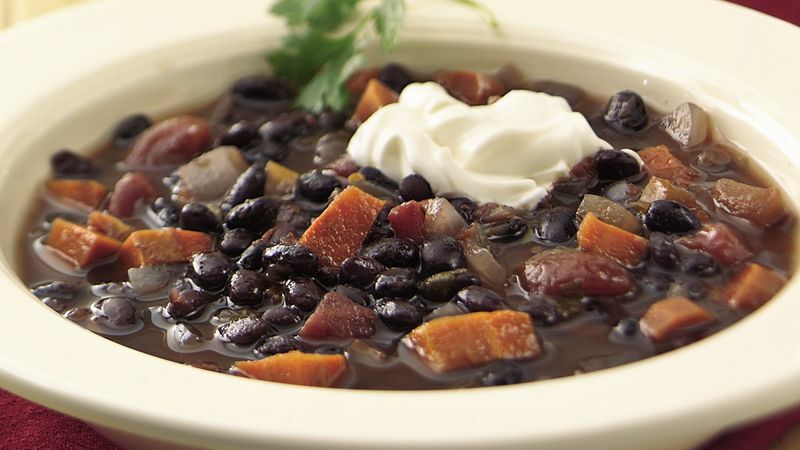 Black beans, also called turtle beans, have long been popular in Latin American and Caribbean cooking. Black on the outside and a creamy color inside, these beans have a sweet flavor.